After setting the registry keys, the server must be restarted. If you run into problems accessing the server with the new alias, this may be because an old machine with the name of the new alias was already existing and there are still old wins entries or even computer accounts in Active Directory present. After deleting these entries and a successful replication of Active Directory everything should now work as expected. 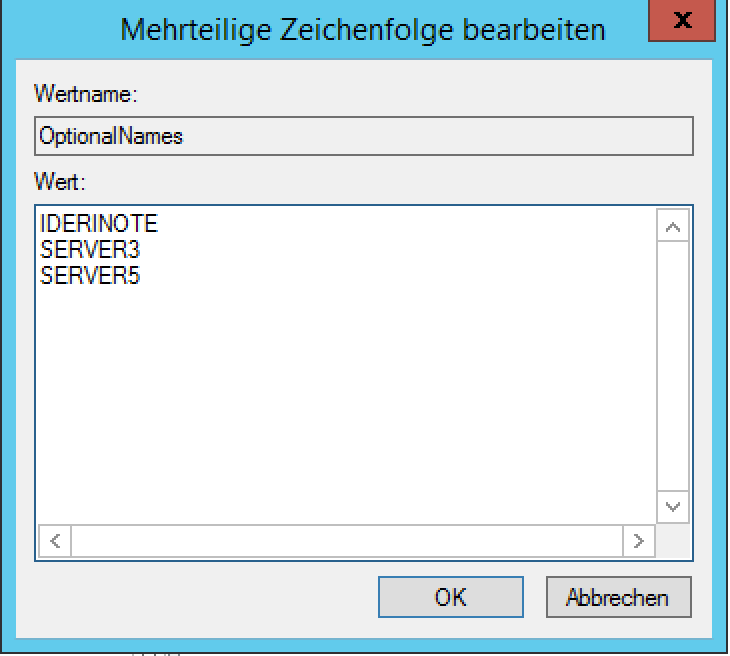 The server ID-DC01 can now also be accessed via the name IDERINOTE. 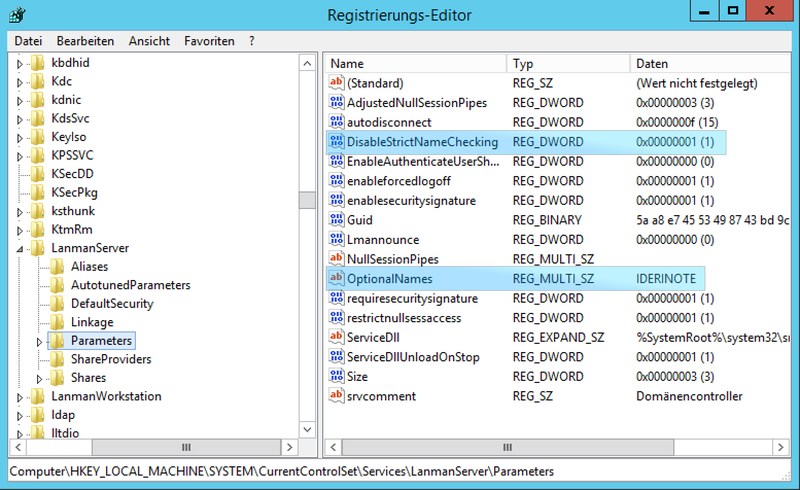 This entry was posted in IDERI blog en, Windows en and tagged dns alias, multiple names by Joachim Glockner. Bookmark the permalink.